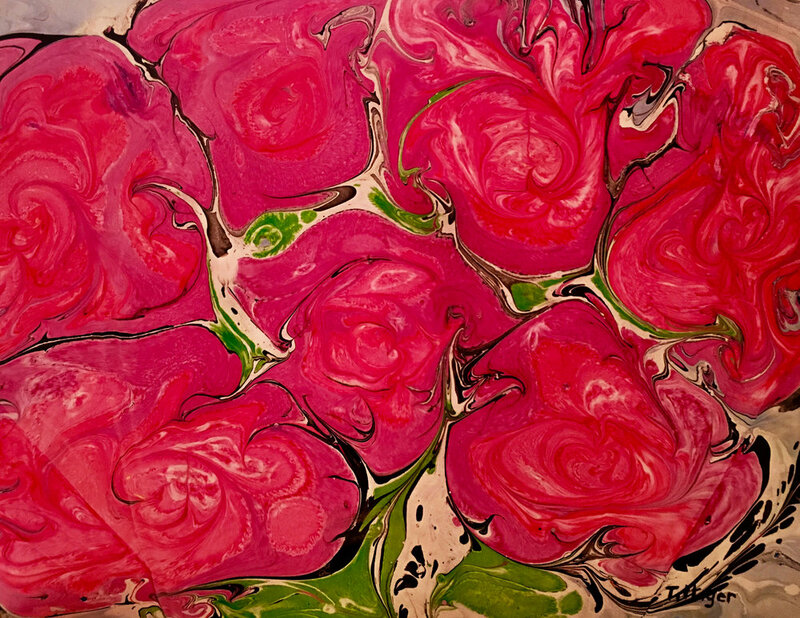 This is an 18 x 24 acrylic marbling rich in color and looks like a flock of flamingos. 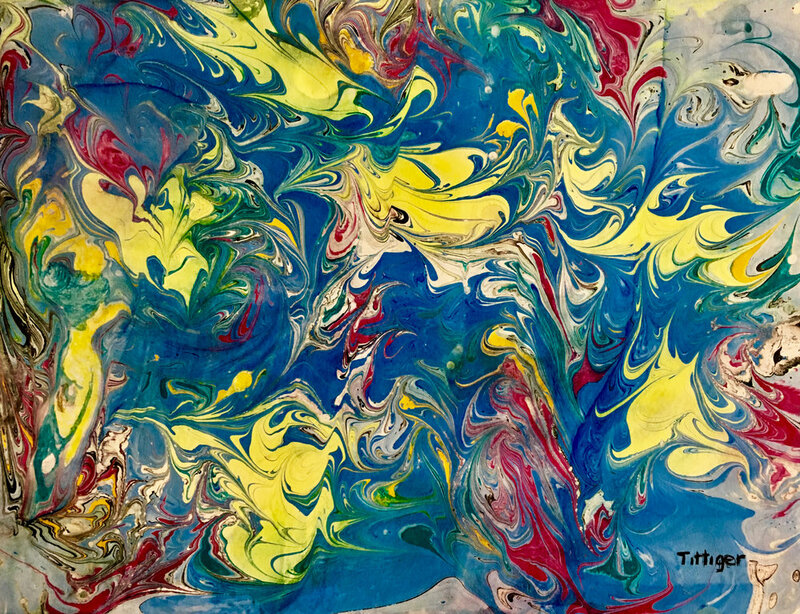 This is an 18 x 24 beautiful acrylic marbling. If you like color it is very vibrant. This is an 16 x 20 acrylic ink marbling. It reminds of the roses outside of my childhood home. This is an 18 x 24 acrylic marbling. The shape and colors reminds me of a Peacock. 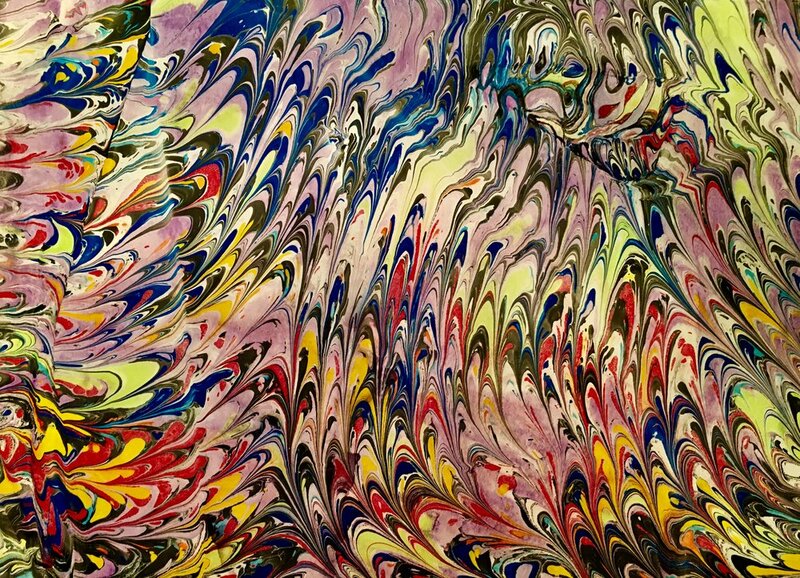 This is an 18 x 24 marbling of all different colors. This is an 18 x 24 acrylic marbling that a comb was used to create this design.